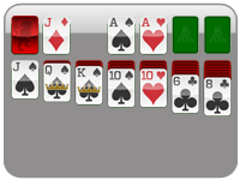 Spider Solitaire is one of the most popular games around, so why not mix things up a little bit and enjoy 1 Suit Wasp Solitaire, a solitaire card game much like Spider Solitaire! 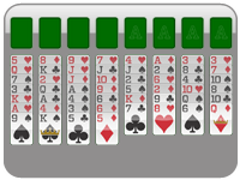 It is much like the version of 1 card Spider Solitaire, so it will be easy to learn the mechanics of this beginner Wasp Solitaire card game. 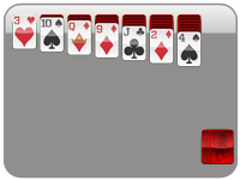 Wasp Solitaire is played by creating stacks of cards of one suit from King to Ace. 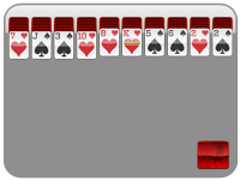 Once a stack is created, the cards disappear from the playing board. Remove all four stacks of cards to win this solitaire game! Wasp differs from Spider Solitaire in that no cards ever become inactive, and you can move a stack no matter what cards it holds. 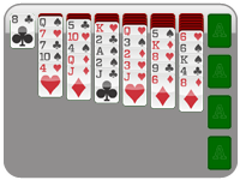 This One Suit Wasp Solitaire is great for beginners because you are only dealing with one suit, so you will just have to organize the cards to win. Don't forget the three extra cards in the bottom corner! 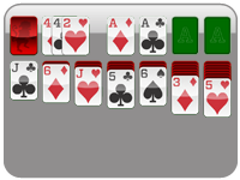 1 Suit Wasp Solitaire is much like 1 Suit Spider, so begin here when learning to play this fun solitaire game! 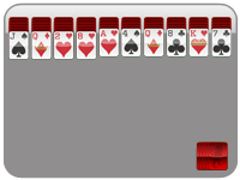 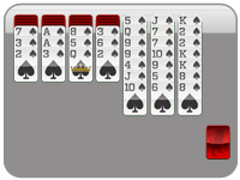 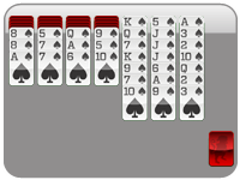 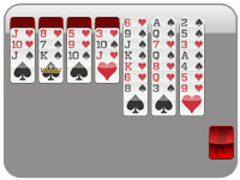 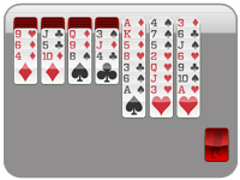 Stack cards King down to Ace into four piles to win Wasp Solitaire! Don't forget to add the three solitaire cards in the bottom of the wasp solitaire board!